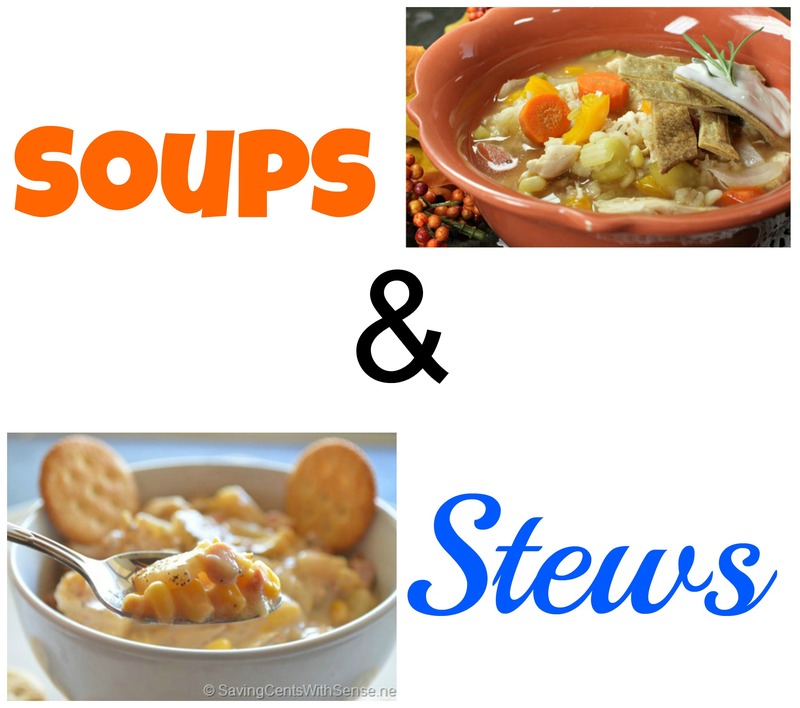 Check out this Huge List of Crockpot Recipes -Dips, Main Dishes, Soups and More!!! I am a huge fan of crockpot cooking! You can toss in the ingredients in the morning, turn it on, and when you get home in evening supper is ready!! Because I love crockpot meals so much, and I know a lot of you do as well, I thought I would compile some recipes for you!! I asked a bunch of my blogging buddies to share their recipes with me so I could make a huge list of crockpot recipes! Now just choose what you want to make from the recipes below :-), might be tough, lots of good ones here!! Also if you have a crockpot recipe that you would like me to add to the list, just send me an email :-)! BBQ Pork Ribs Recipe – That Doesn’t used Bottle BBQ Sauce! 1 Hour + 1 Mess = 5 Crock Pot Meals! 16 meals with fresh ingredients in about an hour! If you have a blog and want your crockpot recipe to be added to the list just email me!! My email is: [email protected] and put Crockpot Recipe in the subject line of the email!!! Wonderful list! Time to get the slow cooker out and start making these recipes. oh I so need this list, I am going to pin this. With Awanas and Football I need to start using my crockpot a lot more at least 1X a week. Thank you! There are tons of awesome recipes here! Crockpot season is here and it will be starting to get cold. I am going to bookmark this page, so I have all the recipes. Thanks for all your hard work in doing this! Aw thanks Julie, and your so welcome!! This is a great list. I really want to try the chicken spaghetti and chicken tacos. Oh my gosh, everything just looks so good on your list. How will I ever choose? Haha I know what your saying.. I have a few I will be making very soon, it is hard to choose!! 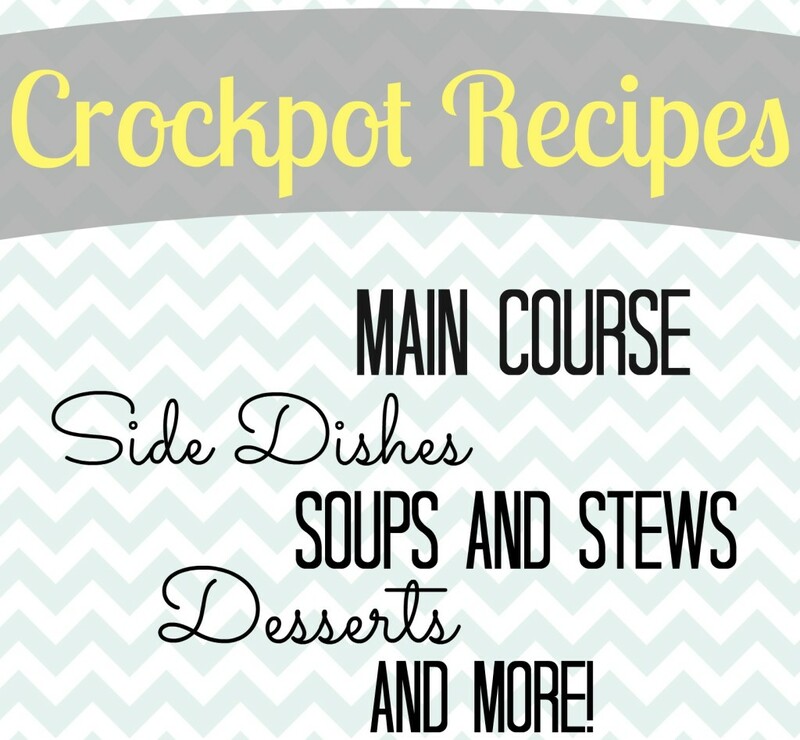 There are so many fun ways to cook with a crockpot! I have to bookmark this for future meal plan ideas! I love love love using my crock-pot! Your so welcome Sue, I agree it will for sure keep your Crockpot going for awhile, I can’t wait to try them all out too!! Oh fun fun! What an awesome list of recipes! I totally love my slow cooker.. especially this time of the year. Your so welcome thanks for wanting to be a part of it Dawn!! It is rainy and cold here so I am feeling this Fall Crockpot cooking needing to be started soon!! Love love love this list! And thanks for including some of my recipes! Wow–thanks for this great list! I’ve pinned this post so I’ll remember to try some of the recipes. I’ve got my eye on the Chicken Barley Soup. And the desserts–oh my! Your welcome Anne!! Lots of good recipes to try out!! Yes that soup sounds delicious! !